TDA has thrown its support behind a proposal from the federal opposition to embark on a national inquiry into the tertiary education sector. TDA chief executive Craig Robertson said a well-funded network of TAFE across Australia operating in a post-school education system, in which universities and TAFE were on an equal footing, would need to be part of such a review. “The Commonwealth and states share responsibility for vocational education and training but we don’t see signs of a joint commitment to modernising the system,” Robertson said. 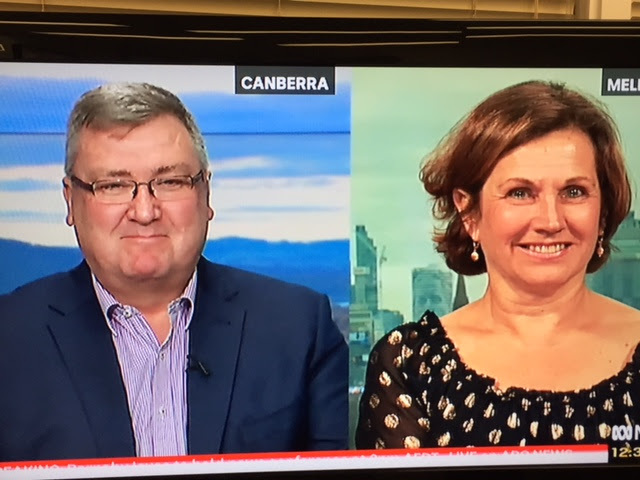 Speaking on ABC TV News at Noon with Universities Australia CEO Belinda Robinson, he said “It’s not about favouring one pathway over another. Both universities and VET have enormous opportunities and need to operate in a coherent way if we are to deliver the best outcomes for students, workers and enterprises,” he said. Listen to the ABC World Today ‘Push to examine higher education sector’ with Opposition education spokeswoman Tanya Plibersek, chief executive of Universities Australia Belinda Robinson, and TDA chief executive Craig Robertson. In today’s Financial Review, KPMG’s national sector leader for education, Stephen Parker says the current system is a stark binary with TAFEs and university at opposite ends. He says the higher education system is not equipped to meet the jobs of the future and TAFE is too starved of funds to fill the gap. 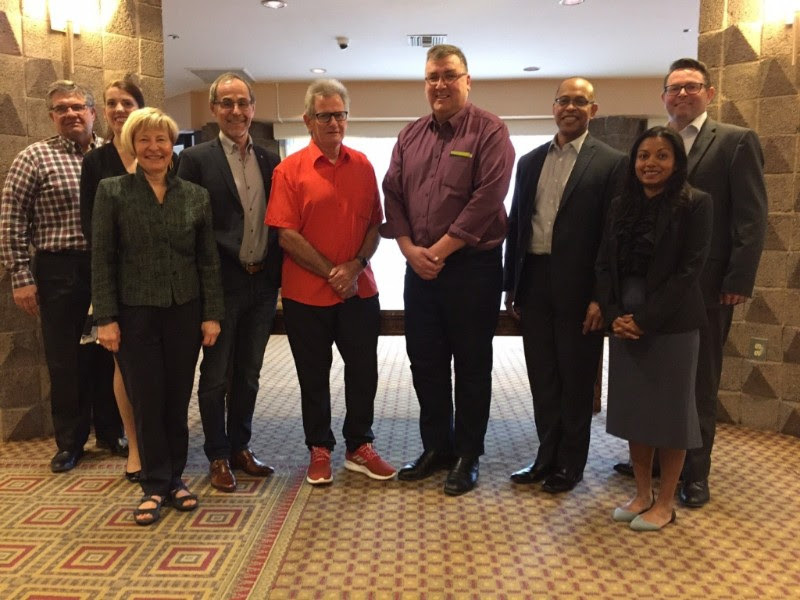 Members of the board of the World Federation of Colleges and Polytechnics (WFCP) checked in on planning and progress for the October WFCP Congress in Melbourne in October. Members of the WFCP Board recognised the level of preparation for the Congress and the calibre of the keynote speakers. Over 60 proposals for speaking and presentation have been received from around the globe and nominations are rolling in for the Awards of Excellence to be announced at the Congress. All countries are working hard to build their representation at the Congress. “It’s crucial that TAFEs and Australian stakeholders play their role in the Congress, not only to showcase TAFE to the rest of the world but to be part of setting new directions for vocational education and training in Australia,” Mr Robertson said. Proposals for speaking are still able to be received, until Wednesday this week, so it’s not too late (see story below). If you have missed nominating for awards of excellence, please contact memberservices@tda.edu.au to discuss options to submit a nomination. Is your institution demonstrating leading edge practice in preparing students for the changing world of work? Are you forming innovative partnerships with industry? Don’t miss your opportunity to take to the stage at of the World Federation of Colleges and Polytechnics (WFCP) being held in Melbourne in October. 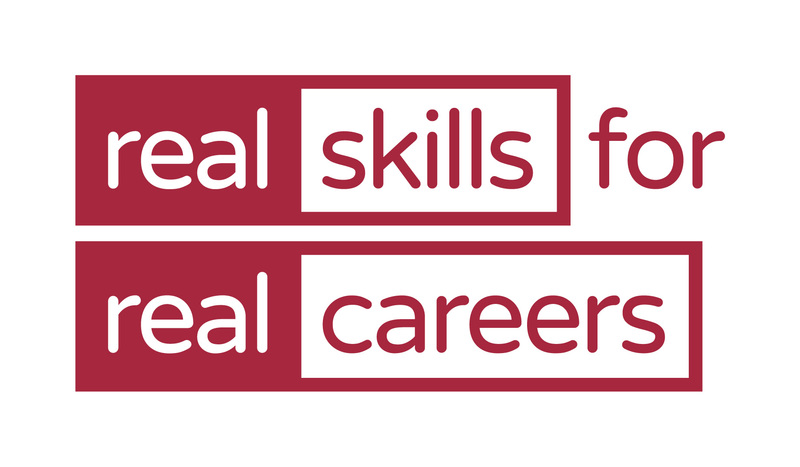 There are just three days remaining to lodge proposals for keynote speakers, breakout sessions and workshops.The theme ‘Preparing for the Skills Future, Now’ will include breakout sessions on the future for colleges and polytechnics, and the future for teaching and learning. A full list can be found on our website. We are delighted with the level of interest to date, with over 60 submissions from around the globe. National and International experts from institutions in professional and technical education and training are ready to share their passions, experiences and ideas – please join them. The deadline for the Call for Proposals is this Wednesday 28 February. Click here for information on how to submit a proposal. Congress registration is also open. Click here to express interest, book an exhibition booth or register. 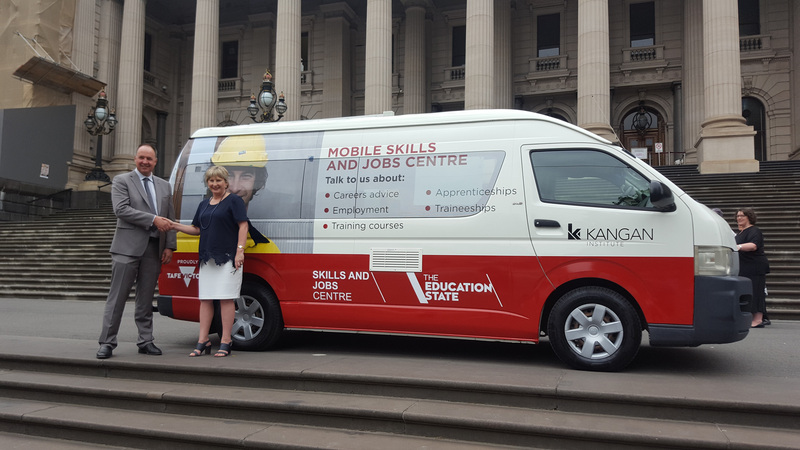 Victorian MPs got a close-up look at Bendigo TAFE and Kangan Institute’s new mobile skills and jobs bus which had a prime spot in front of state parliament last week. The mobile centres were established by the state government to provide a one-stop-shop for advice on employment, training or upskilling. Kangan Institute CEO Trevor Schwenke was on hand with the Minister for Training and Skills Gayle Tierney to promote the new service. “Having a mobile Skills and Jobs Centre allows us to bring information and knowledge to people who need it. It is a logical expansion of our services to include those who otherwise may not have access to them,” Mr Schwenke said. Since its launch last December, the Bendigo Kangan bus has delivered services to jobseekers and employers from Broadmeadows to Echuca. The institute also operates services at its Bendigo and Broadmeadows campuses, as well as a special kiosk at Broadmeadows shopping centre. 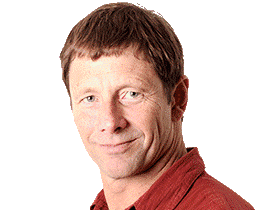 John Ross, former higher education and science writer with The Australian, begins a new role today as Asia Pacific editor of Times Higher Education. THE, which publishes the influential World University Rankings, is expanding its media coverage of tertiary education worldwide. Ross will cover big picture issues around tertiary education policy, politics and practice, including vocational education. Ross, who spent seven years at The Australian, brought a strong focus to the VET sector and covered a string of major policy issues across the states and Commonwealth. The new higher education and science writer at The Australian is Sian Powell, a highly experienced journalist who has worked domestically and abroad with the Sydney Morning Herald and The Australian, including as the paper’s Jakarta correspondent. The UK government has launched a wide-ranging review into higher education, aimed at breaking down some of the barriers between technical and academic choices – bearing some similarities with last week’s plan by Australian federal Labor (see story above). Prime Minister Theresa May made it clear that the current secondary system is not working as well as it could be. The review will be supported by a panel of experts and headed by a former head of the Department for Education, Philip Augar. The Australian Skills Quality Authority (ASQA) is recruiting for the position of Lead Regulatory Officer based in Brisbane. Working as part of a team, the Lead Regulatory Officer will be required to analyse allocated complaints and regulatory matters and decide appropriate responses.